While Apple and Samsung have been grappling to find a way to integrate the fingerprint sensor beneath the display screen, Vivo just walked right in and beat both the smartphone giants to it. Word in the air is that the Chinese smartphone manufacturer has already given all final touches to its next device, called the Vivo X9s Plus. Apparently, the up and coming X9 Plus will come with a fingerprint sensor within the display itself. It all started when a video, presumably leaked, surfaced on Weibo a few days ago. 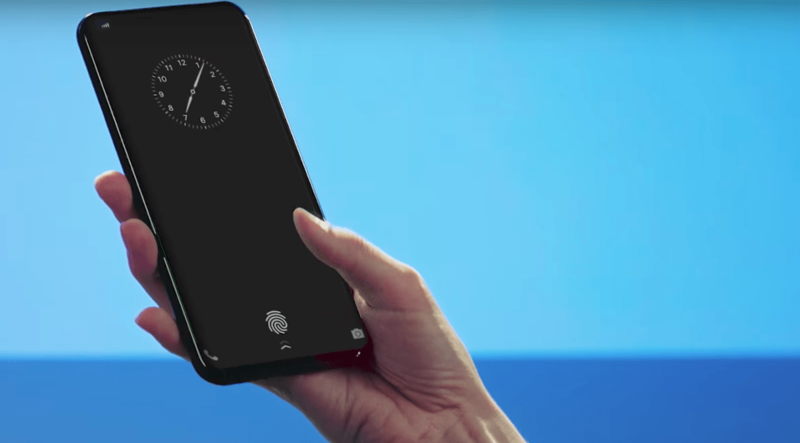 The lack of a dedicated fingerprint sensor in the front or back immediately grabbed the public’s attention, as the man in the video seems to unlock the phone by simply touching the display. Dubbed as the ‘Vivo Under Display’ technology, the fingerprint scanner within the display can work not only through the glass but through OLED screens and aluminium as well. The technology is reportedly built in collaboration with Qualcomm. This breakthrough in technology might not only help make the handset lighter, even though by a fraction, but also clears up plenty of space for any additional component placement either on the front or the rear of the phone. The only catch is that it works only on a designated area on the screen on not anywhere else on display. According to Gizchina, Vivo would be the first company to introduce and implement an optical Under Display fingerprint sensor in the industry. This can mean that the Vivo X9s Plus will be the first smartphone to beat iPhone 8 at innovative technology. The Vivo X9s Plus will allegedly flaunt a 5.8-inch display sporting a combination 20MP and 8MP dual camera setup. Under the hood, the handset is likely to be powered by Qualcomm Snapdragon 652 chipset along with 6GB of RAM. Vivo and Qualcomm combinedly announced the new technology at the Mobile World Congress Shanghai 2017 event in China. The X9s Plus along with the Vivo X9s will be launched at a special event on July 6, after the completion of China MWC 2017.